Shift share implies a standard analysis, based on any region to determine that regional growth of employment can be characterised to national trends and affect of regional factors on it (Danko III and Hanink 2017). In the given situation, a shift share analysis is conducted on Parramatta City Council to understand economic changes between 2001 and 2011. Hence, this report intends to show the structural economic changes of this local government area relative to New South Wales (NSW). Based on this analysis, the report further focuses to provide a set of recommendations about this council’s respond for economic strengths and weaknesses. In addition to this, a critical reflection of this shift-share business analysis will be provided. To conduct shift share analysis, entire employment growth of Parramatta City Council has been divided into three parts, which are, NSW share, industry mix and regional shift. NSW share will measure the number of total employment in the chosen local government area because of growth in the NSW economy during 2001-2011. Industry mix will identify fast or slow growing economic sectors in this local area depending on the growth rates of respective industry sectors (Khusaini 2015). On the other side, regional shift highlights leading sectors and lagging sector of this local government area. In 2001, almost 60398 people were employed in various economic sectors of Paramatta City Council. After 10 years, this number increased and became 74564. During the same time period, total number of employment of NSW increased from 2704449 to 3130219. The NSW share regarding Parramatta City Council is positive for every sector. The electricity, gas, water and waste services represent higher contribution regarding the total employment growth while that of mining sector represents is the lowest (Goschin 2014). Other sectors like health care and social assistance along with retail trade, construction and wholesale trade also generate significant impact on the NSW share. Thus, it can be stated that if same rate of national growth can arrive, then the employment change would be higher for these subsectors of Parramatta city council. In this outcome, the positive industry mix indicates in the selected local governmental area indicates that it is growing at a faster rate compare to the national economy. On the contrary, the negative industry mix implies comparatively slower growing sectors of the local economy (Mohamed 2017). In this context, manufacturing sector represents a slow growing sector compare to its national employment growth while health care and social assistance sector represent a positive industrial mix indicating a faster growth rate. Other sectors that also represent negative industry mix are agriculture, forestry and fishing along with retail trade and transport and postal, wholesale trade and warehousing. This represents that employment in these specified sectors at the local government area in a portion of comparatively slow-growing sectors of NSW. On the contrary, other positive industry mix sectors are construction, financial and insurance services, professional, scientific and technical service, mining, electricity, gas, water and waste services, arts and recreation services and other services represent positive industry mix (Salvatori 2018). Other two sectors fallen under these categories are education and training along with public administration and safety. According this outcome it can be stated that subsectors under health care and social assistance, other services and public administration and safety play significant role in the context of employment growth in Parramatta City Council during 2001-2011. The impact of positive regional shift implies that the local government area has successfully attracted investment in a particular area. In addition to this, it also represents comparative advantage for a particular sector’s region (Giannakis and Bruggeman 2017). On the contrary, negative regional shift implies that this particular local economy is sacrificing its share compare to other regions. In this given situation, positive competitive effect of retail trade along with wholesale trade, accommodation and food services, financial and insurance services their competitive advantage for economic growth of Parramatta City Council. Therefore, the overall employment law growth rate is negative manufacturing, agriculture, forestry and fishing sectors while other sectors have developed significantly. In addition to this, electricity, gas, water and waste services sector also falls under this category. Thus, it can be stated that all service sectors create employment opportunity in this local area, as they are enjoying competitive advantage (Erku?-Öztürk and Terhorst 2018). On the other side, primary industries along with manufacturing and some other service sectors have represented weak economic condition for generating employment. The main feature of this outcome is that agriculture, mining, manufacturing that were considered as the vital sectors have not remain major contributors of the Parramatta City Council’s economic growth. On the contrary, electricity, gas, water and waste services along with financial and insurance services, professional, scientific and technical service as well as public administration and safety are playing significant role develop economic condition of this sector (Othman, Yusop and Ismail 2018). In this context, the government needs to provide considerable attention on these less affective sectors for stimulating their economic condition in future. On the contrary, the government can take proper policy to develop financial and insurance service further so that these sectors in future can generate more employment opportunities. Thus the entire report has conducted shift-share analysis to understand about the changing economy of the Parramatta City Council, based on which the government can take proper policies. This report considers various sectors that can affect economic growth of employment of this local government area. 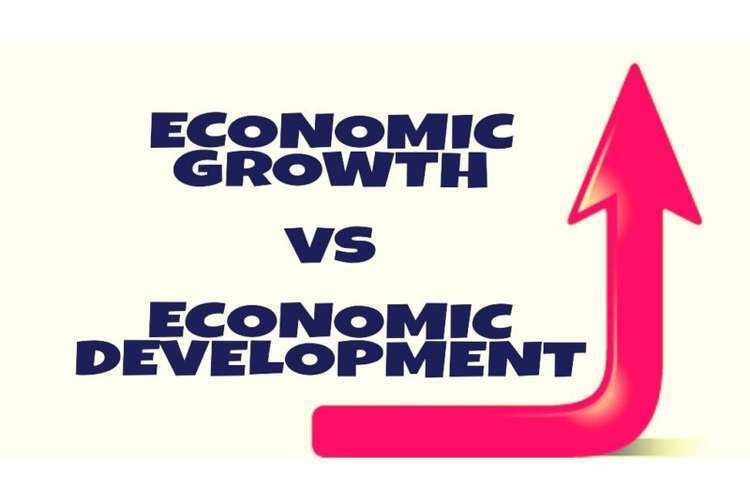 Hence, through analysing comparative advantage of these particular sectors, the government can take various development decisions. This report has represented that mining, manufacturing and agricultural sector along with some service sectors require special attention so that they can develop employment generation like others. 1. Danko III, J.J. and Hanink, D.M., 2017. Evaluating the local socio-economic impact of redevelopments using shift-share analysis: a case study of destination redevelopments in Las Vegas (1990–2010). Journal of urban Design, 22(3), pp.347-369. 2. Erku?-Öztürk, H. and Terhorst, P., 2018. Economic diversification of a single-asset tourism city: Evidence from Antalya. Current Issues in Tourism, 21(4), pp.422-439. 3. Giannakis, E. and Bruggeman, A., 2017. Economic crisis and regional resilience: Evidence from Greece. Papers in Regional Science, 96(3), pp.451-476. 4. Goschin, Z., 2014. Regional growth in Romania after its accession to EU: a shift-share analysis approach. Procedia Economics and Finance, 15, pp.169-175. 5. Khusaini, M., 2015. A Shift-share Analysis on Regional Competitiveness-A Case of Banyuwangi District, East Java, Indonesia. Procedia-Social and Behavioral Sciences, 211, pp.738-744. 6. Mohamed, A.B., 2017. THE SHIFT-SHARE ANALYSIS OF TUNISIAN REGIONS LOCAL AND STRUCTURAL DYNAMICS. Kuwait Chapter of the Arabian Journal of Business and Management Review, 6(11), pp.48-65. 7. Othman, N., Yusop, Z. and Ismail, M.M., 2018. IDENTIFYING EXPORT COMPETITIVENESS OF MALAYSIA’S PROCESSED PALM OIL: USING SHIFT-SHARE TECHNIQUE. International Journal, 3(12), pp.1-11.